To furnish the diverse requirements of our clients in the best possible manner we are involved in offering an extensive range of Generator Maintenance Services. Our company has mastered the art in providing Generator Maintenance Service. Trans Diesel Engineers Pvt. Ltd.
Our organization is rendering Function Generator Repairing Service. This service is completed at low prices. This service is handled by professionals who have affluent industry practice and skill. Additionally, this service is widely admired in the market for their timely completion. Backed by our skilled professionals, we are involved in providing Diesel Generator Maintenance Service. 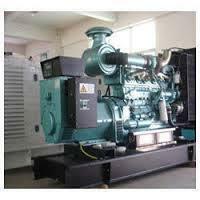 Best quality of Diesel Generator Maintenance Service is provided by us to customers as per their requirements. We are offering a large assortment of Generator Maintenance Services to our valuable customers. These offered services are rendered using the high-quality tools. After rendering, our quality team experts check these repairing services to fulfill the requirements of clients. 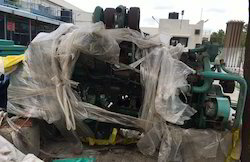 Being a noticeable firm of market, we are rendering Generator Maintenance Services. This service is handled by experts who use advanced technique to render this service as per customer’s demand. In this service, we use advanced techniques. We are counted as one of the reliable companies who provide Generator Maintenance Service which are highly demanded in various industries, hotels, residents and also other commercial and non commercial sectors. Our team of engineers, technicians and other experts possess an excellent understanding of these Generator Maintenance Services. Best quality of Generator Repair Service is provided by us to customers as per their requirements. Aimed at a prosperous growth in this domain, we are instrumental in offering an excellent quality range of Diesel Generator Set. Repairing & Servicing expert in Cummins, Kirloskar, Ruston (Greaves), C.A.T & all Types of D.G. sets in Pune. Our company is a master in providing Generator Maintenance Service. pair and sale purchase &Rental base.